Cassie Hobbes is not like most teenagers. Most teenagers don't lose their mother in a bloody, unsolved murder. Most teenagers can't tell who you are, where you're from and how you're likely to behave within moments of meeting you. And most teenagers don't get chosen to join The Naturals. For Cassie, trying to make friends with the girls, and to figure out the two very different, very hot boys, is challenging enough. 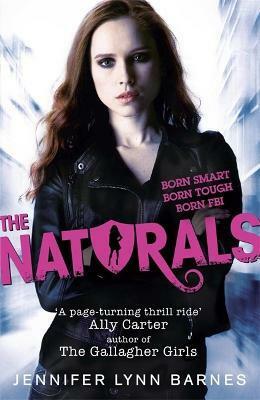 But when a new serial killer strikes and Cassie is drawn into a lethal game of cat and mouse, she realises just how dangerous life in The Naturals could be. Jennifer Lynn Barnes is the author of a dozen novels for young adults. She has advanced degrees in psychology, psychiatry, and cognitive science.